If you have not completed a high school education, you are going to face a very difficult challenge when looking for a job or facing other real world tasks. A high school education prepares you to complete further education, begin working, and develop skills that will be useful to you as you grow as a person. If you are not able to complete a traditional high school diploma for any reason, it is possible to receive your online high school diploma from an accredited online school. You can also find schools that offer the GED below. While teenagers are attending high school, many of them often do not realize the importance of their high school experience. Many teenagers feel that attended high school classes are something they are being forced to do. However, high school courses provide you with important skills and information. Even if you do not believe that you will use your high school trigonometry lessons in the real world, you are still developing your mind and strengthening your critical thinking and problem solving skills. These, and other skills will follow you through your continued education or to your future job. A high school diploma encompasses a well-rounded education that lays the foundation for so much more. By completing a high school education you study curriculum such as literature, mathematics, science, and geography that will provide the building blocks for a future, more specialized, education experience. A high school education shows to future colleges or employers that you have developed analytical, organizational, communication skills, and a work ethic that will transfer to your future endeavors. Many people who have not received their high school diploma claim that they do not have the time or opportunity to complete one now. This is completely untrue. There are many very flexible programs that will fit anyone's hectic schedule. Online high school diploma programs work at your pace and allow you to complete courses any time of day. It is perfectly acceptable to only work on your diploma on the weekends if that fits your schedule best. You can complete the diploma as quickly or as slowly as you need. This is beneficial if you have a very busy schedule and can only finish a small amount of coursework at a time, or if you would like to receive your diploma very quickly. An online high school diploma can be received much faster than a traditional high school diploma if you have the time to work on it. Of course, it is always better to receive a traditional high school diploma, but it is most important that you do the work and receive a high school diploma. It is much better to receive a diploma later in life, than to never receive one at all. The unemployment rate for those without a high school diploma is much higher than those who do. Approximately 85% of the workforce has a diploma, making it even harder for those who do not to be marketable. Most of the employed have pursued further education, which is next to impossible without a high school diploma. Along with your high school diploma, you receive transcripts that will show to future colleges or employers which courses you have completed, and how well you scored, proving to them which skills you will be able to employ. 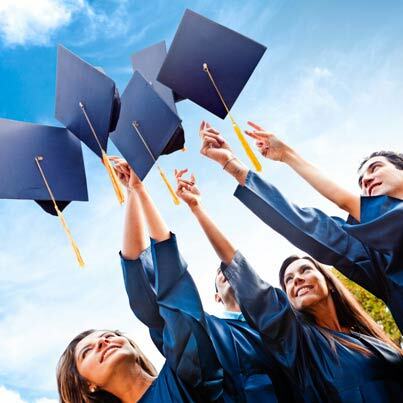 Whether your goal is to pursue higher education, or to enter the work force as soon as possible, the first step is to receive your high school diploma.